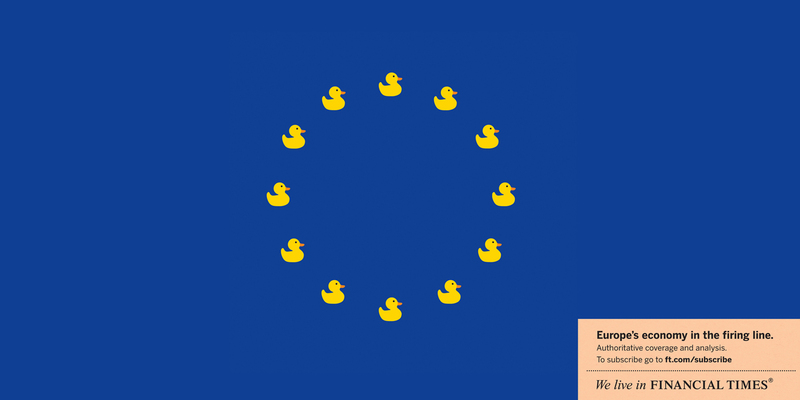 Financial Times is running “Ducks”, a press advertisement highlighting the financial crisis in the E.U. “Europe’s economy in the firing line”. 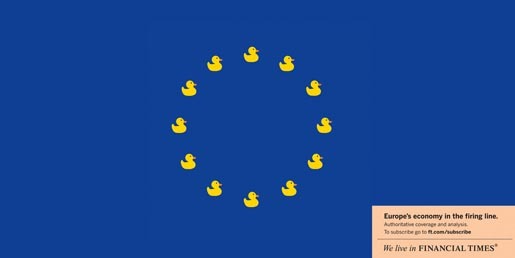 The Ducks ad was developed at DDB UK, London, by creative director Jeremy Craigen, art directors/copywriters illustrators/designers Aaron McGurk and Chris Lapham, account team Charlie Elliott and Flemming Lerche.